A bunch of information from our friends at Phandroid popped up late last night having to do with the DROID lineup of 2011 and it all helps confirm the stuff we told you about back in January. We first reported news that Incredible 2, DROID X2 and DROID 3 were all in the works, but we followed that up just a day later with news that the Inc2 would be a global device. We also received word that the DX2 could end up with a Tegra 2 in it and that one of the new DROIDs might be our next stock Google device. You’ve got to admit that seeing all of this information again is exciting to say the least. Incredible 2: Will launch with a white back and silver rim, similar to what you are seeing in the photo above. Codename “Vevo” is something to look out for. DROID 3: Bigger 4″ qHD screen and a Q2 release. Samsung Stealth: Might be the name of Samsung’s 4G LTE device. So not a ton of new stuff, but again, nice to see a confirmation on our earlier report. I will say that it would surprise me if Stealth ends up being the final name for the Samsung device. As far as I know, that has been the code name for quite some time and am expecting a last minute surprise with that device. 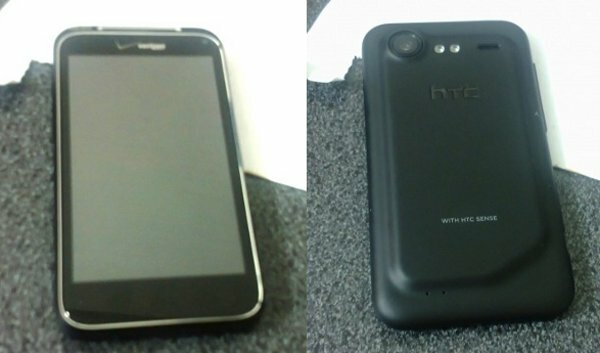 DROID X2: Possibly dual-core and was scheduled for May. Incredible 2: Was scheduled for March. DROID BIONIC: Was scheduled for May. As soon as we have more, we’ll be sure to let you know! Did a WiFi-only Motorola XOOM Pass Through the FCC Today?